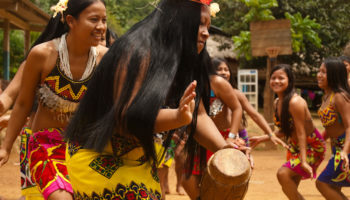 An appealing medley of exciting cities, quiet villages, coffee plantations, beaches, mountains and rainforest, Panama is a natural land bridge linking North America and South America. 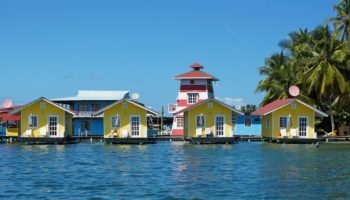 The country is bordered by the Pacific Ocean on one side and the Caribbean Sea on the other, which are both connected by the Panama Canal, one of the world’s most important shipping routes. More highly developed than neighboring Central American countries, Panama enjoys a modern infrastructure, making travel through the tropical paradise easy and convenient. 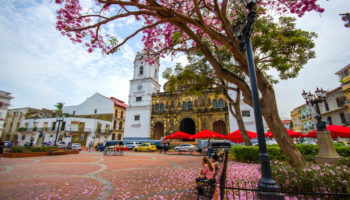 Most tourists arrive in Panama through its capital, Panama City, a vibrant metropolis offering everything one could expect and more, from hotels to shopping, dining, nightlife, arts, culture and a beautiful historic quarter. A must-do in Panama City is watch the massive ships passing in the Panama Canal. From the capital, tourists can arrange transportation and tours to experience the country’s many treasures such as the picturesque mountain town of Boquete in the western highlands. 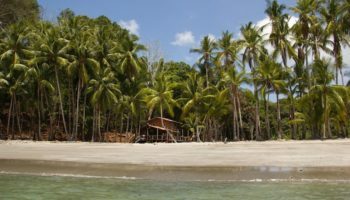 National parks, including Coiba, La Amistad, Volcan Barú and Chiriquí offer adventures like jungle hikes to volcanoes, ziplining, canopy tours and horseback riding as well as opportunities to glimpse wildlife species like howler monkeys, parrots and the rare resplendent quetzal. 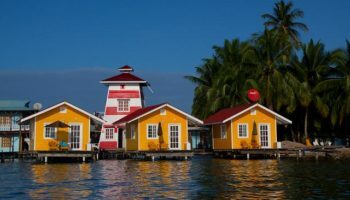 With a number of island groups like Bocas del Toro, Pearl Islands, and the San Blas Islands, there is no end to the fun, from sunbathing on sandy white beaches and swimming in turquoise waters to world-class sport fishing, diving and snorkeling.